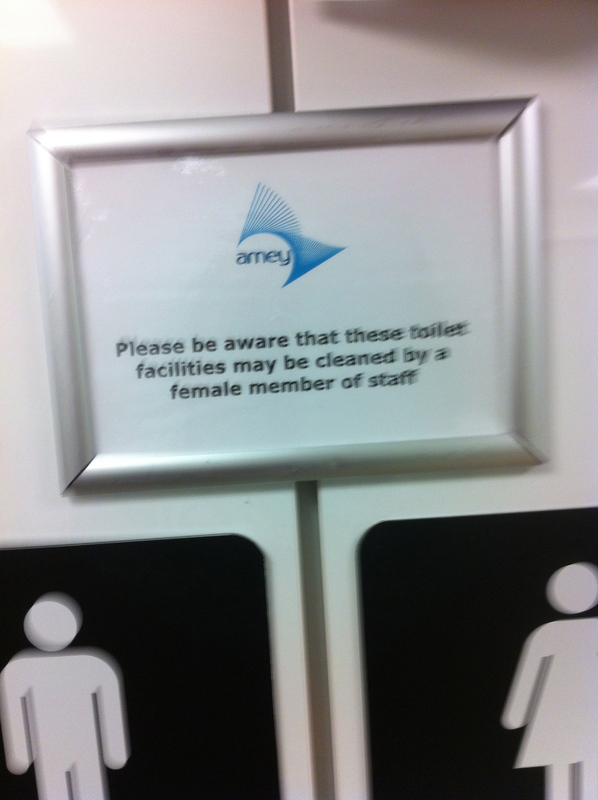 I don’t know what to make of this sign – which if you’re curious can be found in Edinburgh Airport. Is it a symptom of liberation, or of continuing slavery? Who is it protecting from what? Well it’s nice to know the toilets are cleaned by someone.